Fred is worried about his upcoming Bro-Tillion due to past mishaps involving his mother and billionaire rival Beverly Samantha “Binky” Mole whom Mrs. Frederickson keeps trying to impress. The gang help Fred get prepared and Hiro manages to get Aunt Cass to serve as a caterer after the other one cancels. 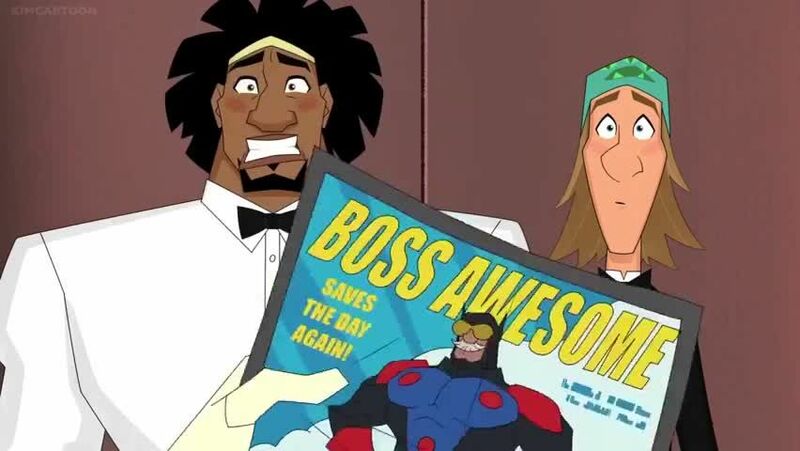 During the celebration however, Mr. Frederickson’s rival Baron Von Steamer arrives attempting to kidnap Fred as revenge from Mr. Frederickson’s days as Boss Awesome. He kidnaps Wasabi instead and the rest of the team end up contacting Mr. Frederickson for advice. They find Steamer’s hideout and Fred uses what he has learned to defeat Steamer who escapes. Afterwards, they hold Fred’s Bro-Tillion at Aunt Cass’ diner and Mrs. Frederickson overcomes her insecurity about Binky.